There is perhaps nothing so commonplace and yet so mystifying as money. But to European communists, money was clearly an instrument of economic exploitation and spiritual alienation. In this groundbreaking study, Jonathan R. Zatlin explores the East German attempt to create a perfect society by eliminating money and explains the reasons for its failure. Drawing on a wide range of sources, including unpublished communist reports, secret police files, literature, jokes, letters written by ordinary people, and conversations with key German politicians, this book shows how the communist regime undermined the political authority of socialism and created the material conditions for its demise. 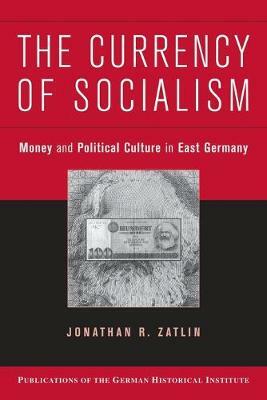 By exploring both the economic and the cultural function of money, Zatlin challenges traditional approaches to economic planning by offering a novel explanation for the collapse of communism in East Germany and a highly original interpretation of German unification. Written in an engaging and lucid style, The Currency of Socialism brings to life the scurrilous competition for power among communist officials and the everyday burdens experienced by ordinary East Germans. Buy The Currency of Socialism by Jonathan R. Zatlin from Australia's Online Independent Bookstore, Boomerang Books. Jonathan R. Zatlin is Assistant Professor of History at Boston University. He previously taught at the Massachusetts Institute of Technology and the University of California at Berkeley. He has published articles in German History, German Politics and Society, Theory and Society, Bulletin of the German Historical Institute, and H-German, among other journals. Zatlin was a co-winner of the Fritz Stern Dissertation Prize awarded by the Friends of the German Historical Institute in 2001.